Upon leaving the state of Maine to obtain her undergraduate degree from Franklin and Marshall College in Lancaster, PA, Nora Theodore knew that one day she would be coming back. There was a certain state pride ingrained into her while growing up in the “bubble” of Maine, and the thought of making a difference in the state she had grown up in while remaining in the same field of research was simply compelling. 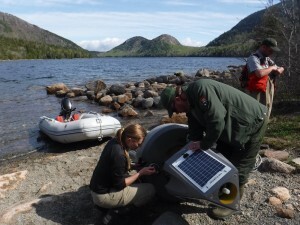 It was not long before Theodore was in contact with Jasmine Saros, her current advisor, and began the process of undergoing her project in Acadia National Park, where she would be “analyzing high-frequency data to understand the drivers of declining water clarity in Jordan Pond,” as a graduate student at the University of Maine. If an individual were to walk into Acadia National Park on any given day, they may notice that the water is not as transparent as it used to be. Dissolved organic matter is causing a decline in clarity, resulting in ecosystems that are responding depending upon the varying causation factors. In order to detect how the lake is responding, there must be a determination of these many and varying factors. For one, we must know how the thermal structure is changing and how temperature changes with depth. With this information, we will be able to determine how it influences the different types and amounts of algae in the lake as an entire ecosystem, depending on the various optical changes seen. As a result, there must be fairly constant analyzation. 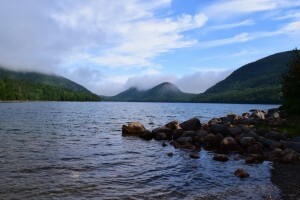 The mission of Friends of Acadia, as it says on their website, is to “preserve, protect, and promote stewardship of the outstanding natural beauty, ecological vitality, and distinctive cultural resources of Acadia National Park,” which quickly became a mutual understanding and goal between Theodore and the park. When Theodore first began exploring the idea of obtaining her master’s degree from the University of Maine, a neat collaboration between Friends of Acadia, the Acadia National Park Service, and the Climate Change Institute on campus is what initially caught her attention. “The common person can be aware of the importance of lake clarity for the sake of water quality, because clearer water equals cleaner water. Besides that, there are also public health implications, which they should remain aware of and educated on in order to understand the implications,” said Theodore. When discussing the importance of collaborations, she went on to say that “the government created the clean air and clean water act to prevent acid deposition”, thus their cooperation with the common people is what compels the public to take action and collaborate with the government and the professionals as a whole. Furthermore, Theodore emphasizes the importance of collaboration, and discussed her facilitation of the partnership between the University of Maine Climate Change Institute, Friends of Acadia non-profit organization, and the Acadia National Park Service. 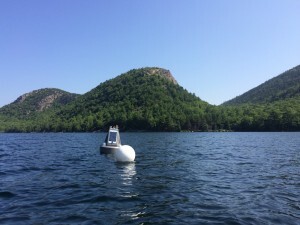 These organizations work together in the deploying, maintaining, and calibrating a NexSens CB-400S water-quality monitoring buoy in Jordan Pond, which gathers all of the data daily for the project. As means of conducting her own public outreach, Theodore, those working on the project with her, and the communication folks at UMaine, all collaborated to get the word out about the project through a digital display at the pond house. 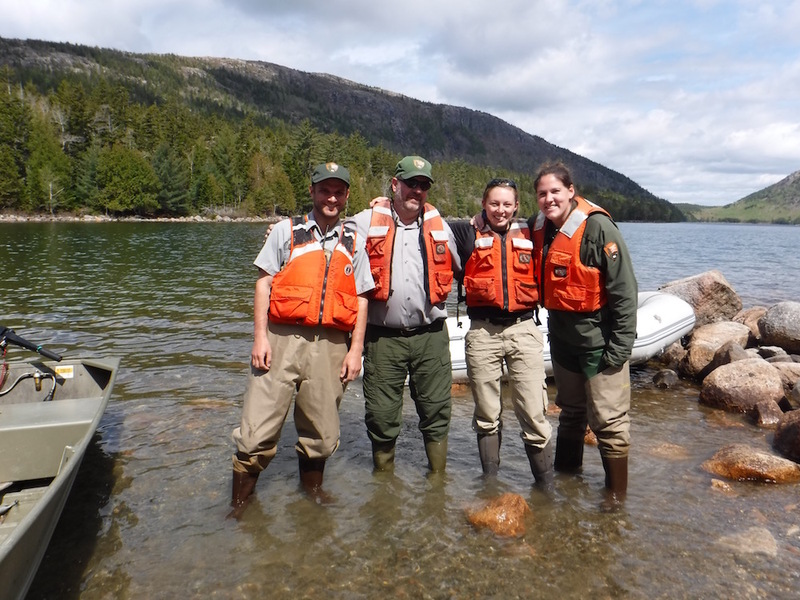 This pond, among all of Acadia, is a “hot spot” for tourism, and as a result, Theodore and her team had to strive to blend in their scientific work with the natural world in which they were exploring. To do so, they camouflaged the buoy in gray paint, among other colors, in order to have it resemble a seagull and integrate freely with the environment. Of the many factors that could have an influence on lake composition, Theodore focuses on specifically two for her thesis: the changes in acid deposition, and the different climatic variables. In order to analyze this high-frequency data, there must be a pretty constant flow of information to Theodore daily, which is why the data is logged at the park and is received at her desk every fifteen minutes or so, allowing for consistent evaluation to be made. This includes a count on temperature, algae, chlorophyll, conductivity, pH, and dissolved oxygen trends. Amidst all of this data, Theodore said that rain has proven to be a leading factor of importance, as it is monitored with a sensor on the buoy and provides critical information concerning water treatment among many other important in-lake biological implications. There are many directions in which Theodore may find herself through the journey of her project, but as of now she is becoming well acquainted with the significance of a communal facet and the power of outreach in the surrounding communities. An important aspect of her work, and one that she enjoys telling others, is that it can be used as a good example of a successful piece of environmental legislation. While the hard science itself is extremely significant for obvious reasons, public outreach and education, surrounding not only this project but all of science, plays a meaningful role in creating change that will be spread and shared throughout masses of people. As Theodore continually expressed, no matter what degree the implication of the work is, if the overall message cannot be relayed to the public, there is no driving force of change. 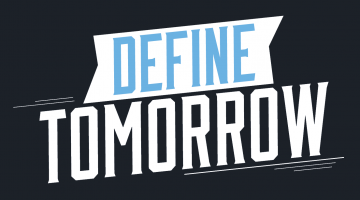 While the future is unknown, Theodore plans to defend her thesis in either April or May, and then to continue pursuing a balance of both the science and social side of her work. Having spent the last two years focusing on hard sciences, Theodore anticipates the forthcoming of her further involvement in public interfacing and outreach through policy based work in order to inspire action, promote change, and remain active in the science that influences the surrounding world.